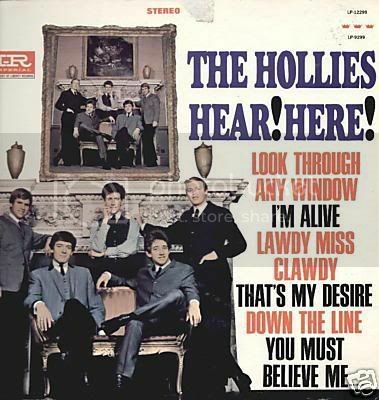 I'm starting this thread so we can post photos of those amazing record sleeves from the Hollies' albums, singles, and EPs. This one is a Parlophone EP for "I Can't Let Go," "Look Through Any Window," "I've Got a Way of My Own," and "So Lonely." As always, all the guys are enchanting, and Allan looks so cute when he laughs. Thanks Vrinda for posting this as always they look gorgeous and I agree allan looks very cute when he laughs I wonder what made him giggle. Maybe the photographer said something funny, but just what, we may never know, unless Allan remembers! I just remembered: Yesterday was the first anniversary of My Back Pages being launched. I had something nice planned, but didn't have the time to scan, crop, and upload everything. I'll get to it later! Over the past few months I have started to collect/buy Hollies singles with picture sleeves off ebay. Some great art work. I have noticed that some covers have slightly different photos from the same photo shoot. I've got a copy of I'm down and Terry Sylvester has his arms by his side, I've seen a different cover/song and the photo is almost the some only thing different is Terry's arms are folded. Ah!!!!!! Happy Anniversary Queenie. What would the forum be without you ? I hate to sound so negative, but I'm sure there are some on here who are regretting the day I signed up! On the other hand, this would be one boring place without My Back Pages! Keep up the good work, Vrinda. 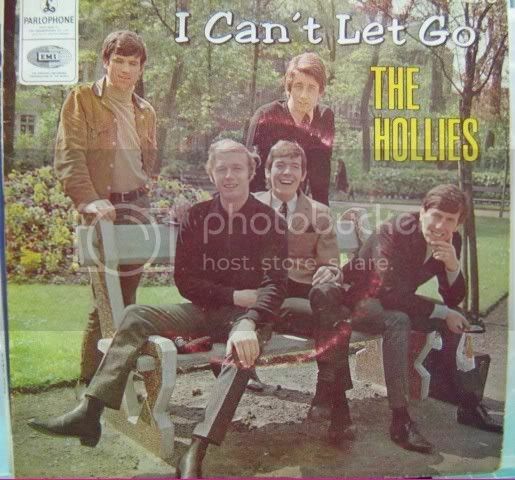 I've been a Hollies fan for all of those 45 years and I can't wait to see which photo you are loading up next! Thanks, John! You'll love what I've got lined up next!